Are Amish more “Republican” or “Democrat”? Yes. The Amish pay income taxes (federal and state), sales taxes, property taxes, estate taxes, and school taxes (even though the majority do not send their children to public schools). Many Amish are exempt from Social Security taxes, due to a negotiation which allows them to opt out (Amish consider Social Security a worldly insurance program). In such cases, Amish also do not collect Social Security benefits. Some Amish who work for non-Amish employers are obligated to pay into Social Security, however. A minority of Amish do vote, though most do not. Amish believe in a separation of worldly and heavenly kingdoms, and are just as if not more likely to pray for a political leader as vote for one. Some Amish do cast ballots in local, and in some cases, presidential elections, notably seen in Amish support for George W. Bush in 2004. More on Amish voting. No, Amish do not hold political positions of power. This is rooted in their nonresistance belief, which prohibit the use of force against others. The Two Kingdoms doctrine, to which the Amish adhere, also guides this stance. What is the Two Kingdoms doctrine? Why is it important for Amish? This doctrine states that their exist two kingdoms, one of heaven and one of the world, each with its own set of rules. Amish believe Christians should obey the rules of the world as long as they don’t impede on those of the heavenly kingdom. This belief is important for the Amish as it guides many of their worldly decisions. 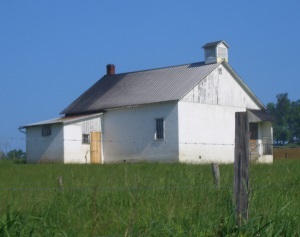 Amish came into conflict with the government over schooling, leading to the landmark Supreme Court case Wisconsin v. Yoder (1972). While Amish are generally law-abiding, peaceful citizens, Amish do sometimes break laws, in some cases due to ignorance, disagreement in principle, or when a wordly law conflicts with the laws of heaven and with conscience. Some examples include conservative Amish refusing to use buggy safety triangles in locales where they are required, Amish who sell raw milk to the public where the practice is forbidden, and cases where Amish have ignored building ordinances and permit requirements. More. This is a representative committee for the Amish which provides something akin to a national political voice and representation. The Steering Committee was created in 1967 as a result of concern over the draft and conscientious objector alternative service during the Vietnam War. The three-person group has negotiated with the government and articulated Amish positions on issues of general importance, including labor issues, photo IDs, worker’s compensation, insurance, and Social Security. Read more on the National Amish Steering Committee. Kraybill, Donald B., and Kyle C. Kopko, “Bush Fever: Amish and Old Order Mennonites in the 2004 Election.” Mennonite Quarterly Review 81 (April 2007): 165-205. To Cite this Page: Wesner, Erik J. 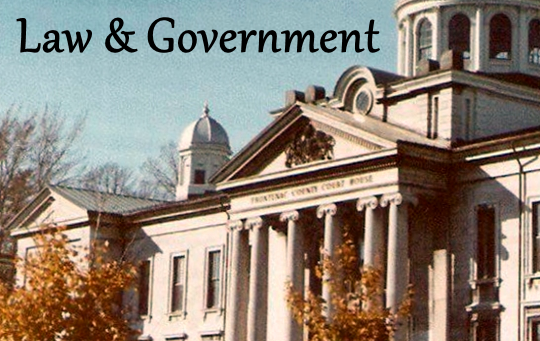 “Government.” Amish America. Erik Wesner, 11 Feb. 2015. Web. [Date Accessed]. <http://amishamerica.com/government/>.